HRH Prince George Stamps - What Would Kate Do? 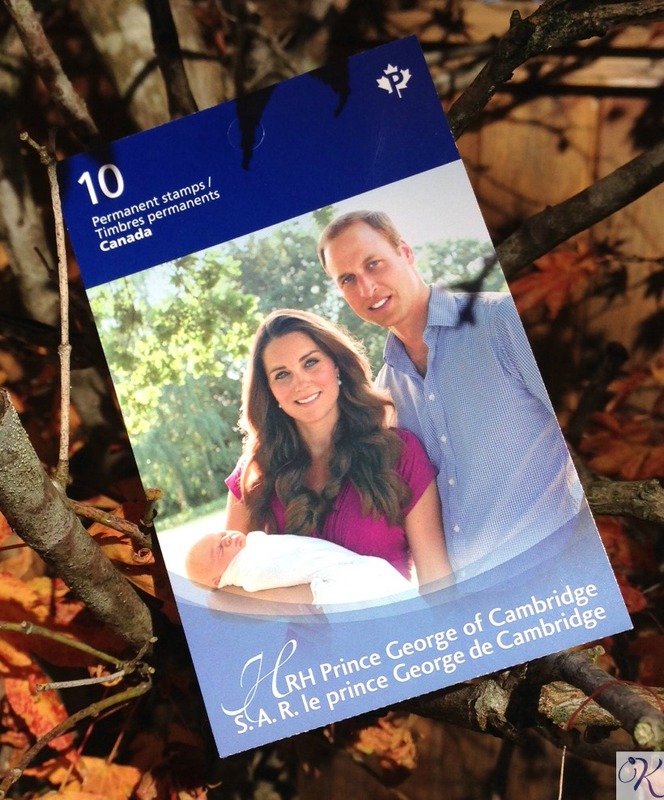 Seeing as Canada is a Constitutional Monarchy, we celebrated the birth of Prince George as our future King in several ways here in Canada including donating $100,000 to a child-focused charity, a set of commemorative coins, lighting up National Landmarks in blue and also through the release of congratulatory postage stamps. When I recently visited the Post Office, I couldn’t resist picking up a booklet of the stamps. The Post Office shares that the stamps would be well used on baby shower invitations or on baby announcements for children born in the same year, but I think they are also quite attractive to the Kate aficionado. Or to this one, anyway. Just another of the many many ways that countries around the world are celebrating the birth of Prince George! If you are interested in purchasing some stamps of your own, they are available for sale through Canada Post.